Home > Online shopping > Retail Coupon Exchange: Have a Coupon You Don’t Need? 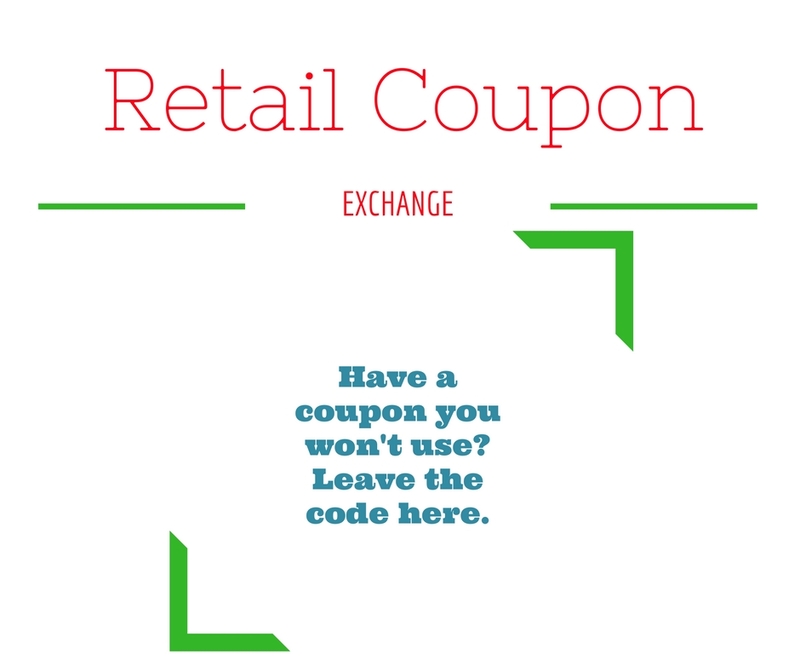 Retail Coupon Exchange: Have a Coupon You Don’t Need? Tis the season to share retail coupons! If you have a coupon for a retail store that you aren’t going to use leave it in a comment below. Someone else will then be able to use it. You can share coupons from magazines, mailers, emails, etc. from major stores like Shutterfly, Tiny Prints, Crazy 8, Gymboree, and more. For example, Tiny Prints e-mailed out individual codes today for $50 off a $50 purchase. Pampers Rewards sent out $20 off your Shutterfly cards and free shipping yesterday. Please be considerate of others and only use a coupon that has not been claimed. Feel free to share this with others, the more people who participate the more likely you are to get the codes you need. Note: this is just for unique retail coupon codes. Please do not share grocery coupons.